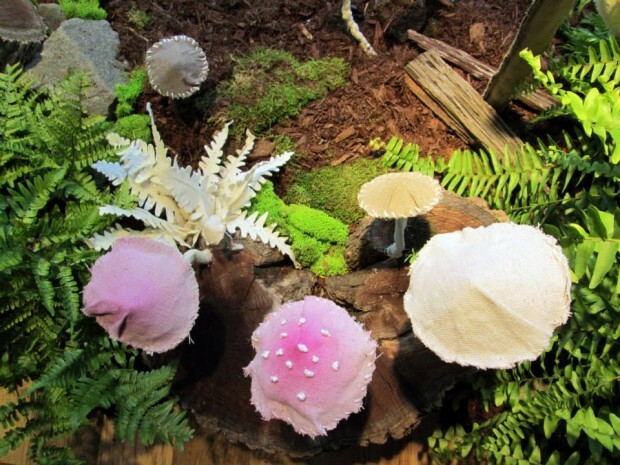 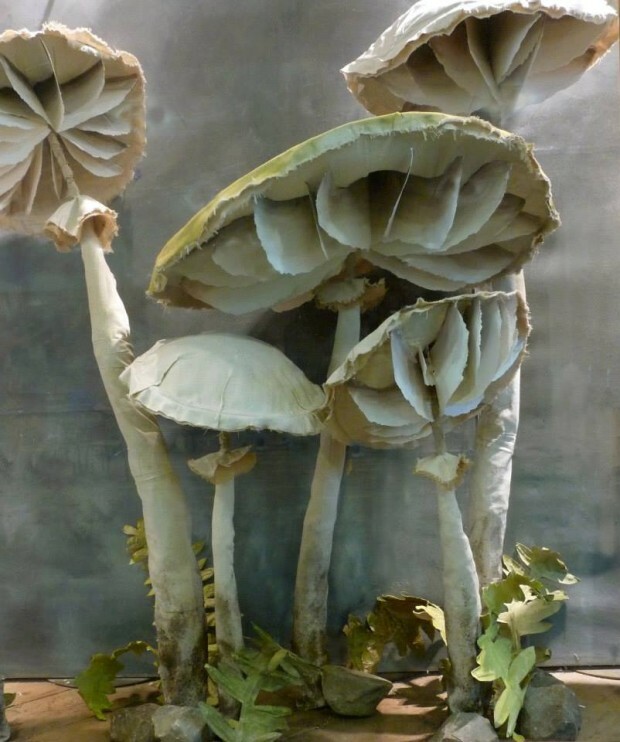 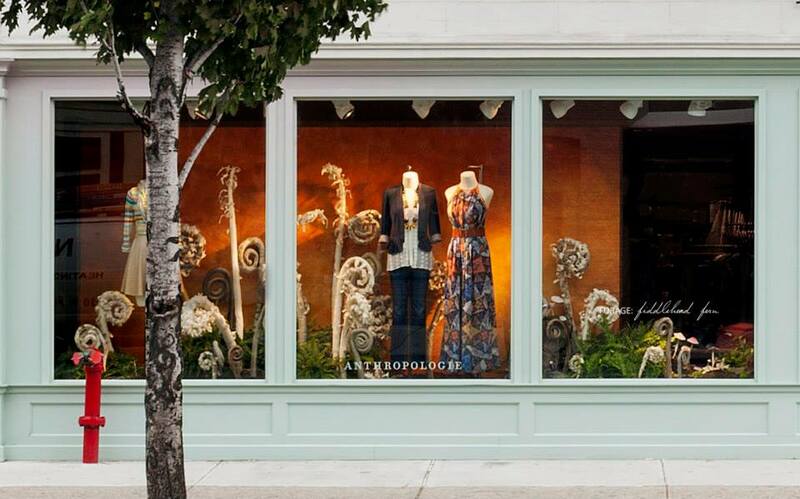 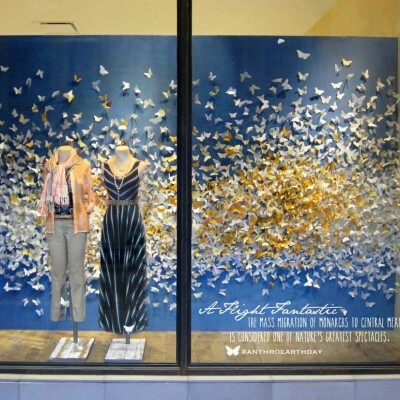 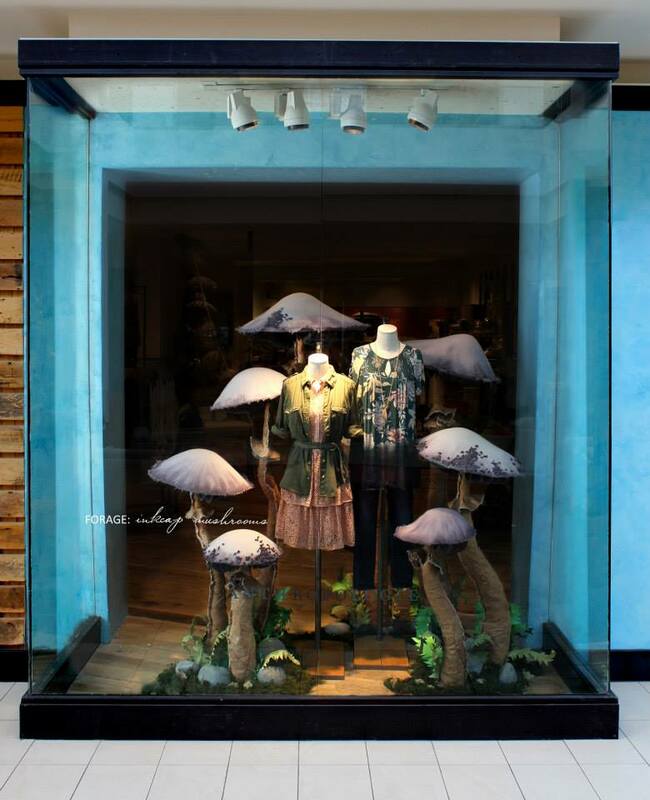 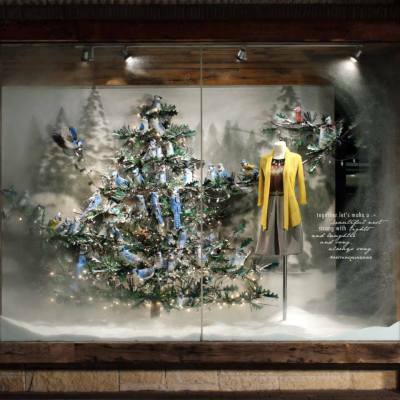 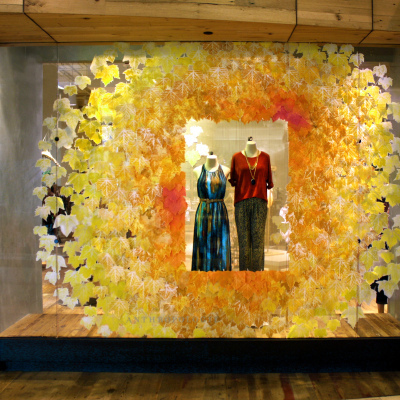 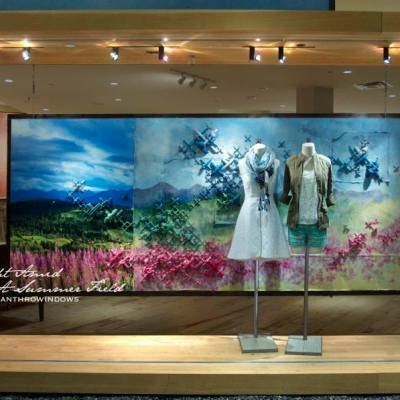 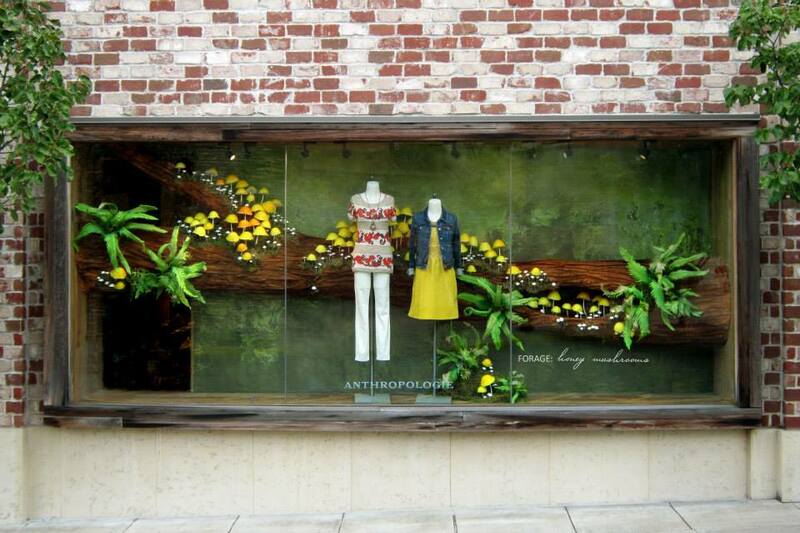 The Anthropologie visual team went to the forest to get inspiration for the fall window display. 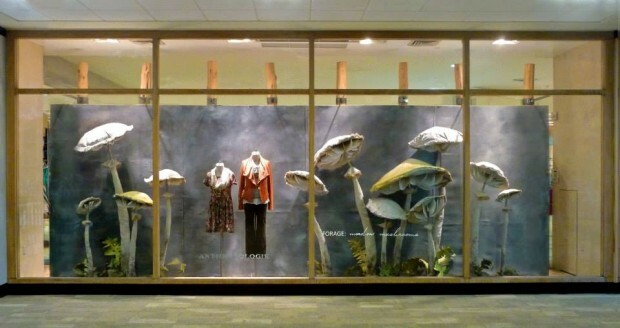 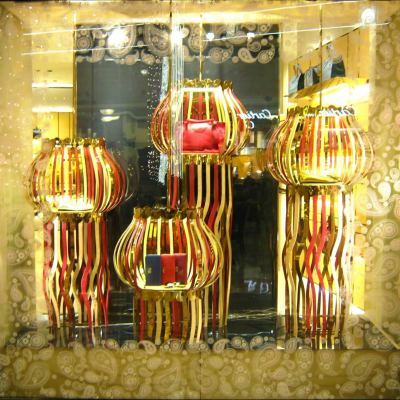 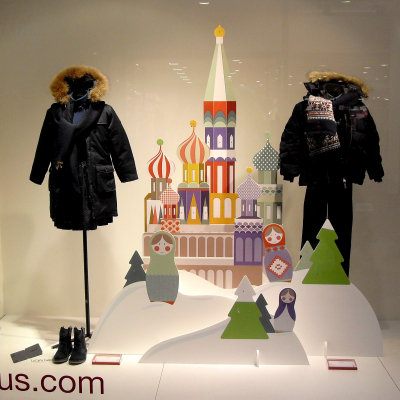 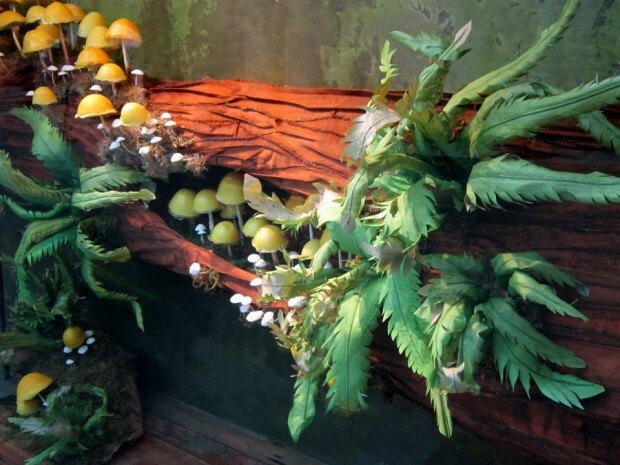 They came back with the idea to use the humble mushroom and created different type of mushrooms for their windows. 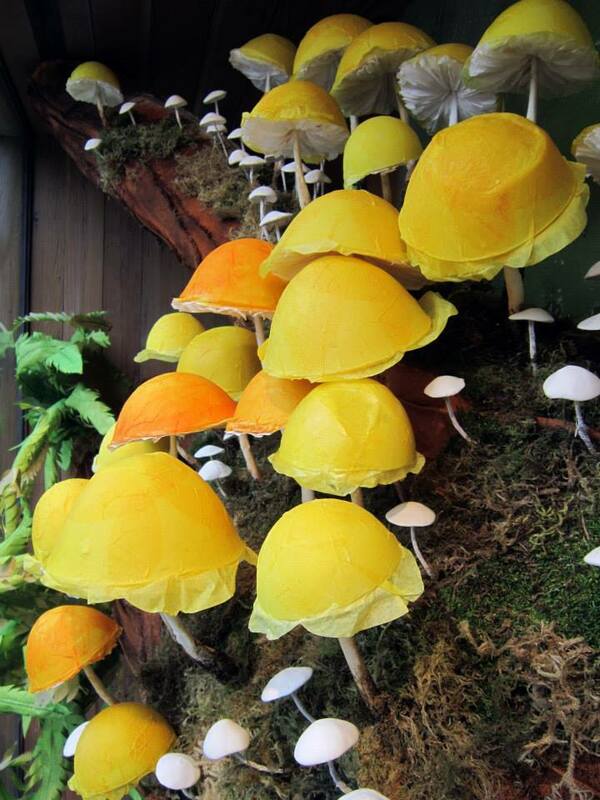 These are the wide-canopied meadow mushrooms. 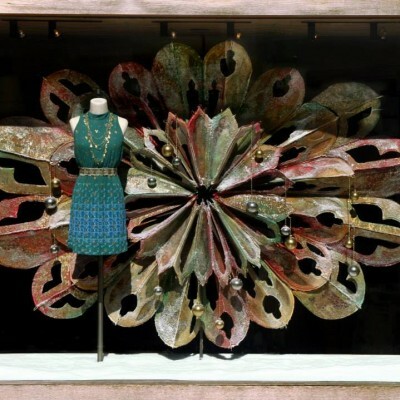 Good news for all the prop lovers, selected Anthropologie stores will auction off their creations for charity at the end of the season!